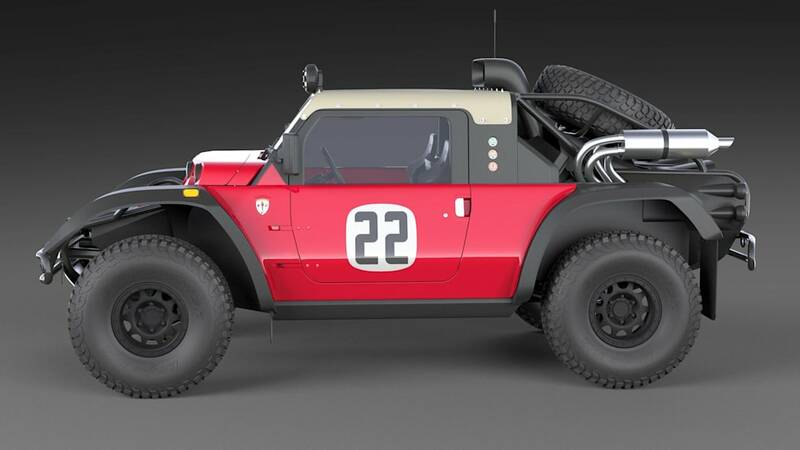 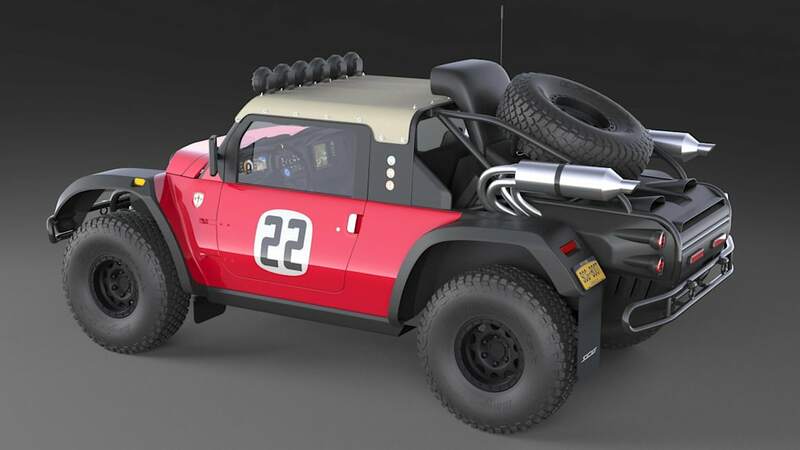 The SCG Boot, which will contest the 2019 Baja 1000. 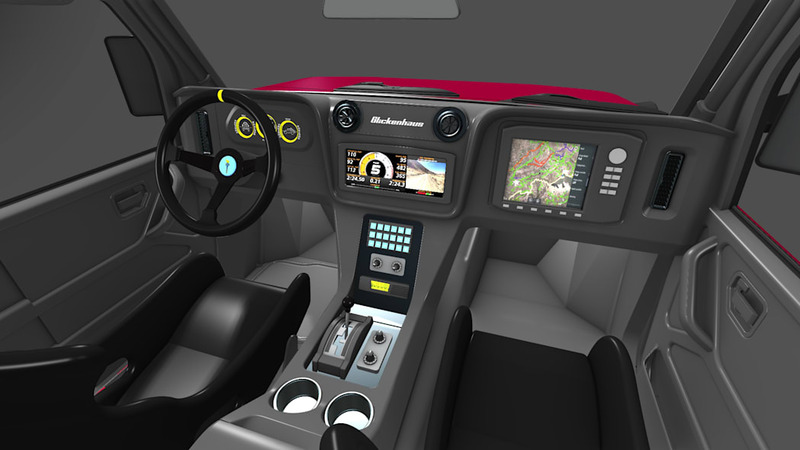 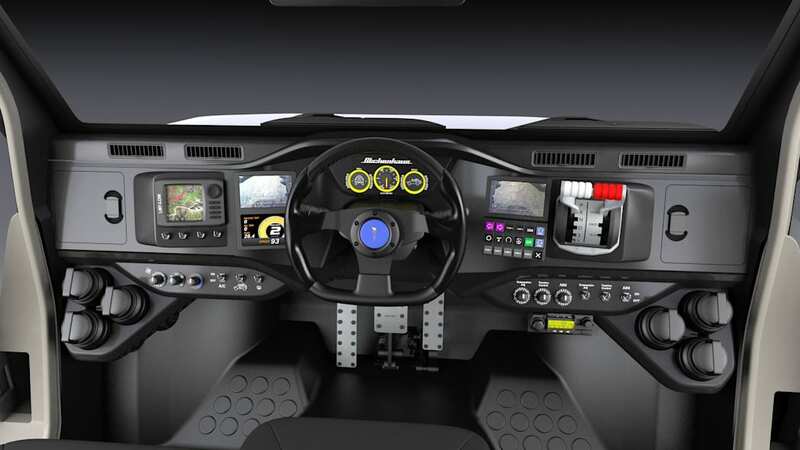 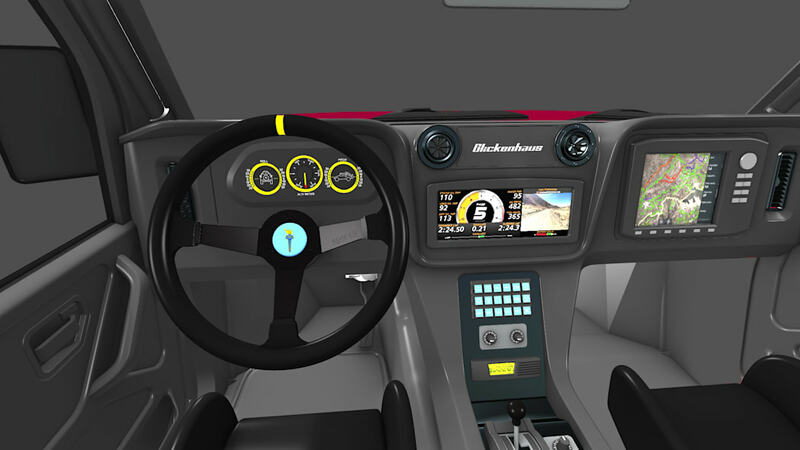 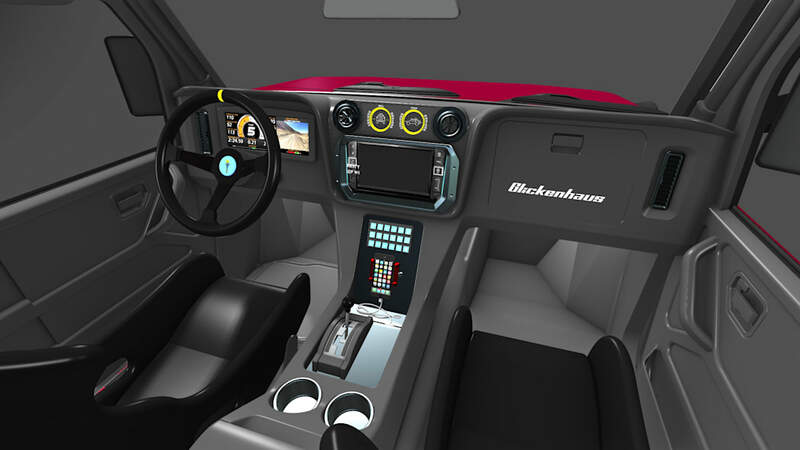 Scuderia Cameron Glickenhaus appears to be building a pretty unbeatable machine. 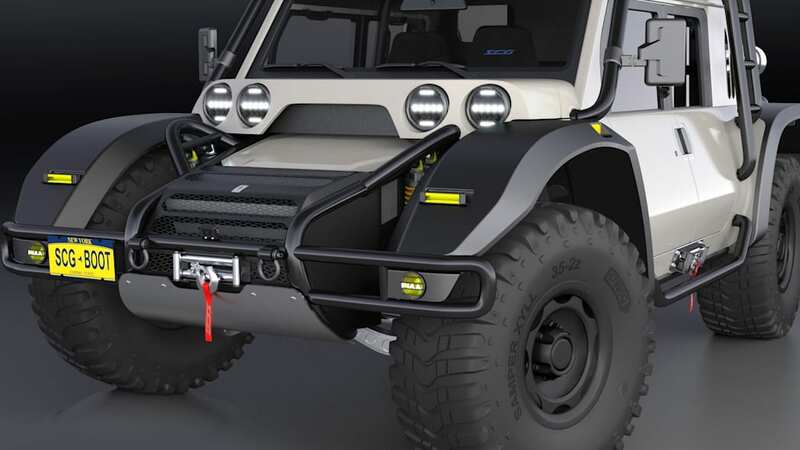 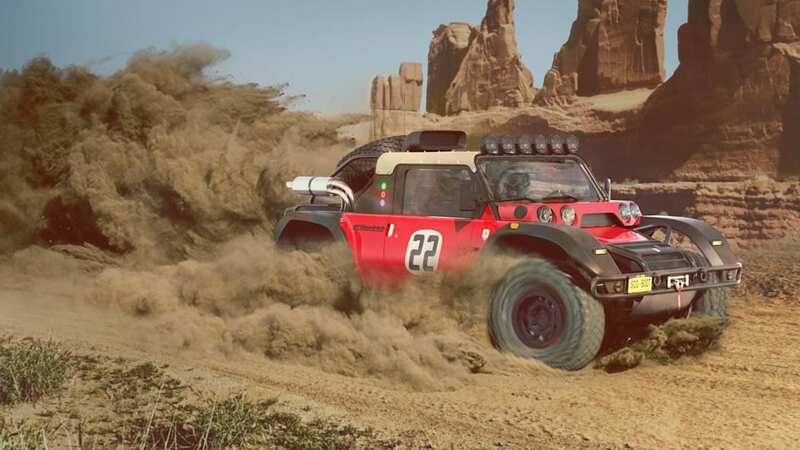 With its roots in actor Steve McQueen's old Baja Boot desert racer, SCG is re-imagining the Boot to become not only ambitious, but amphibious to boot. 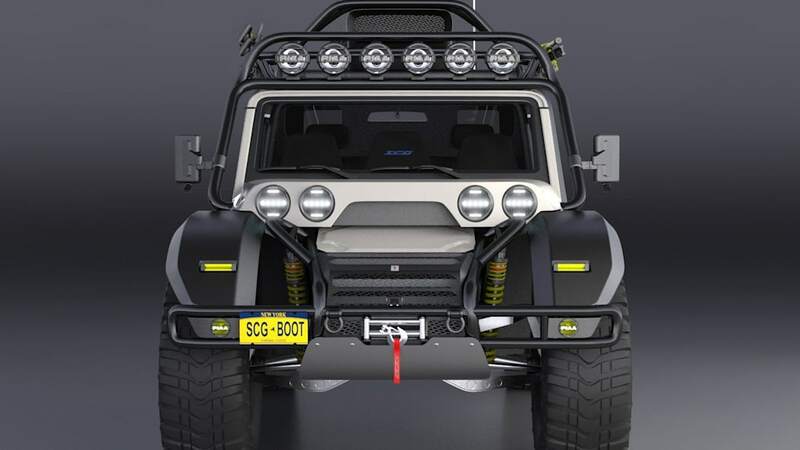 SCG says the preliminary design for the Boot is complete, and agreements have been made with component manufacturers. 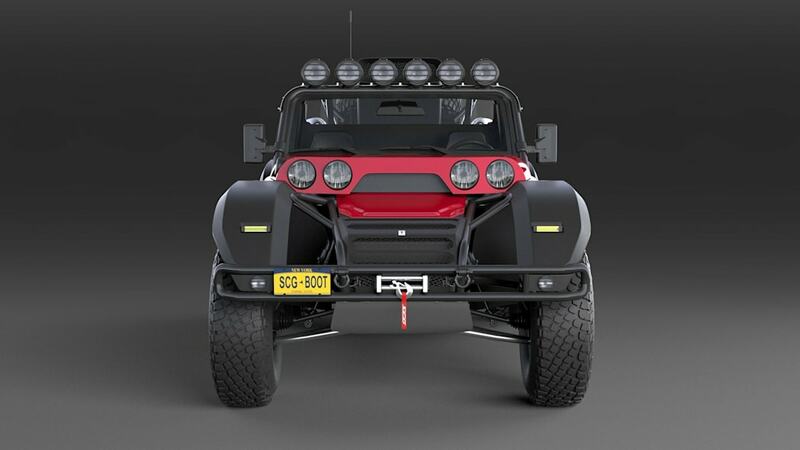 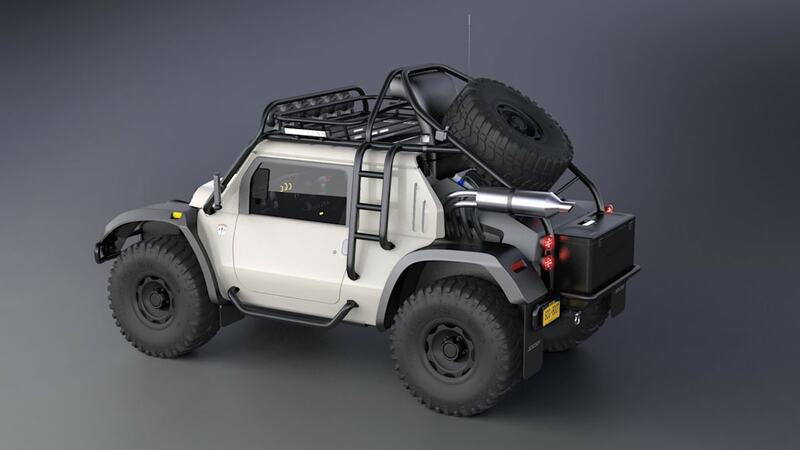 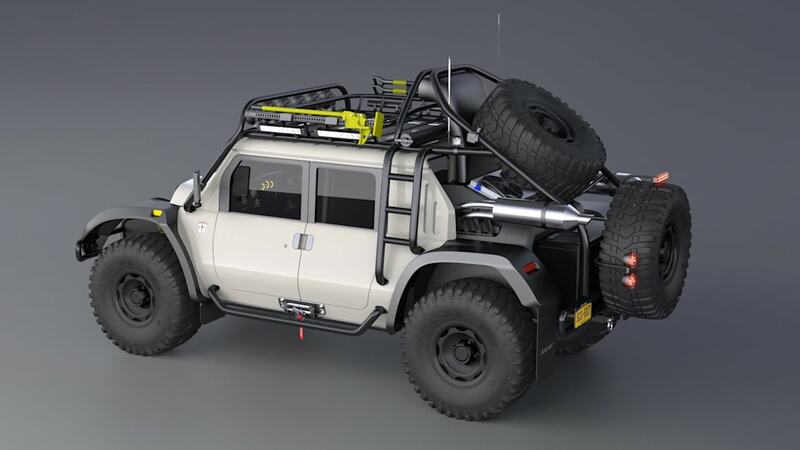 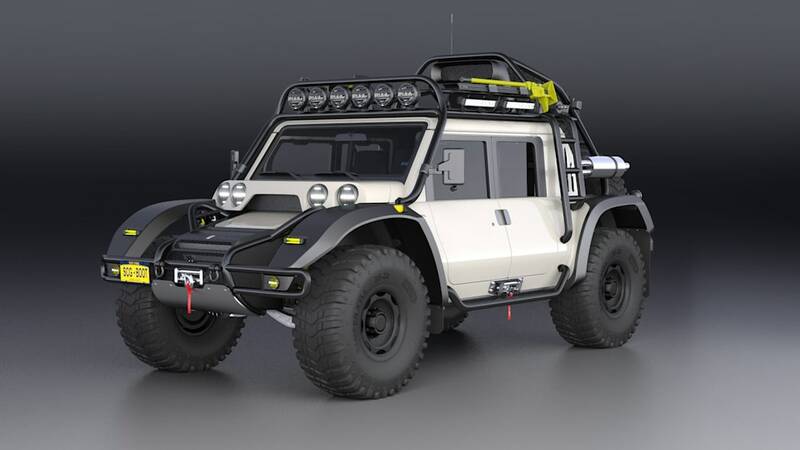 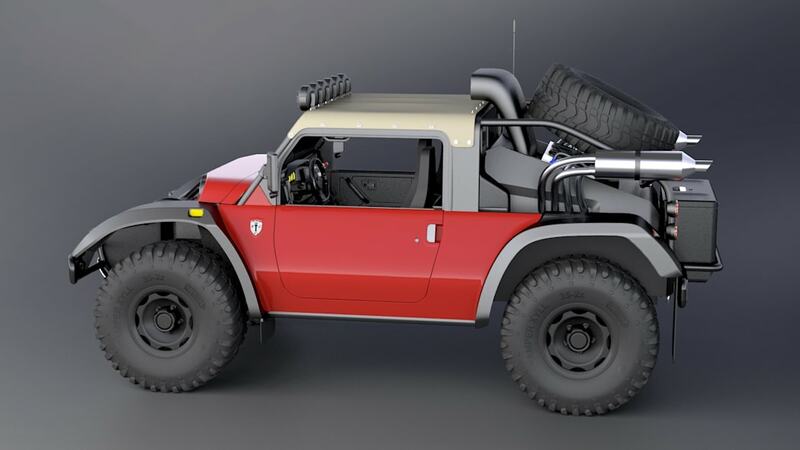 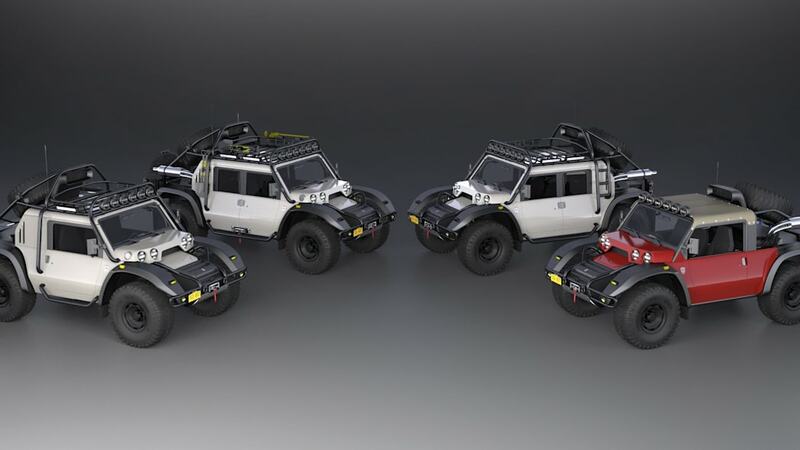 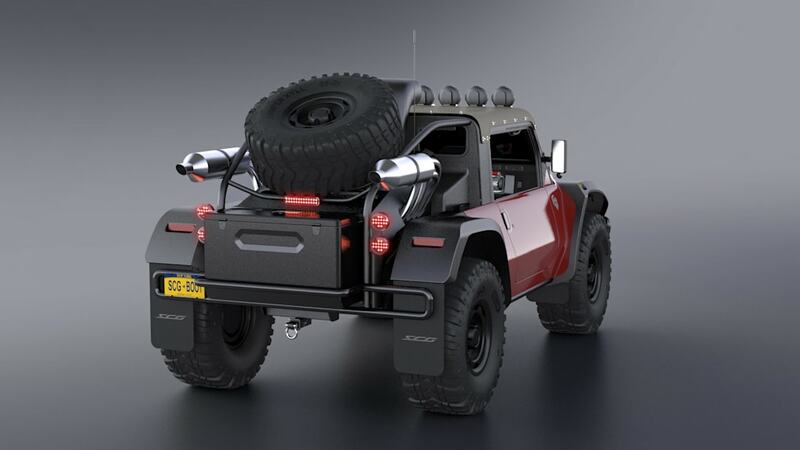 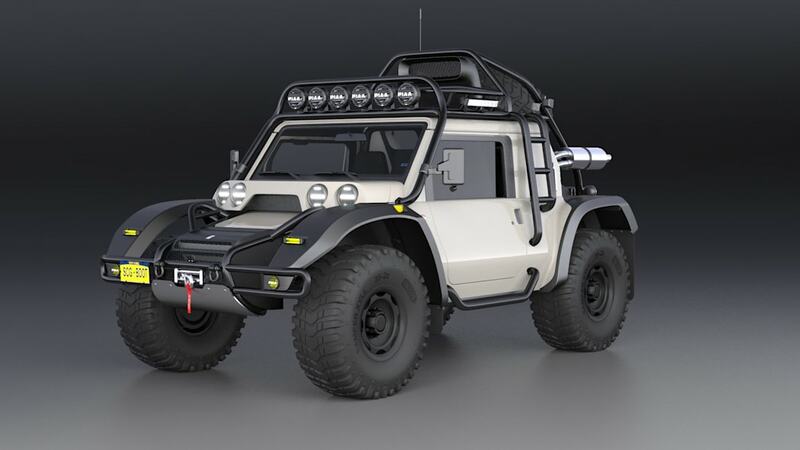 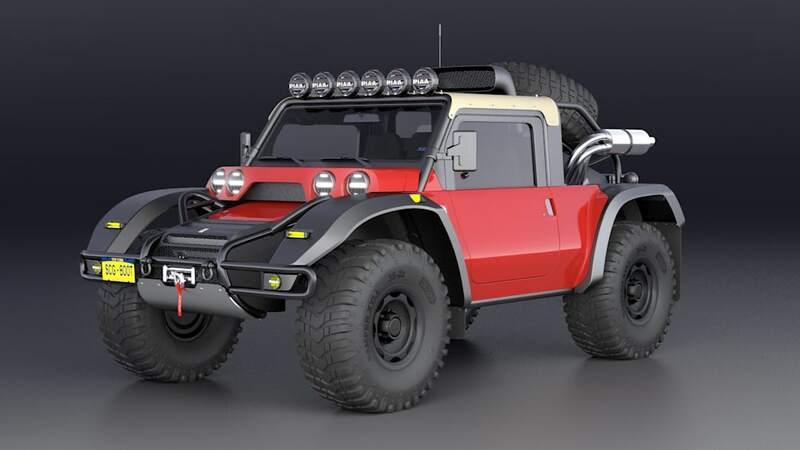 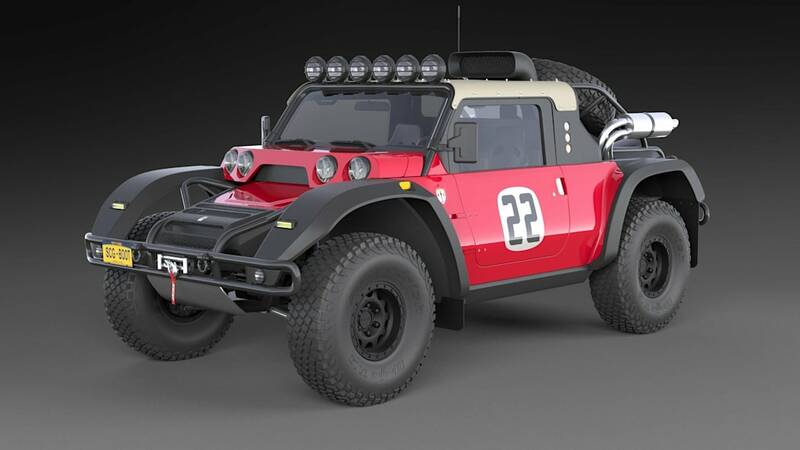 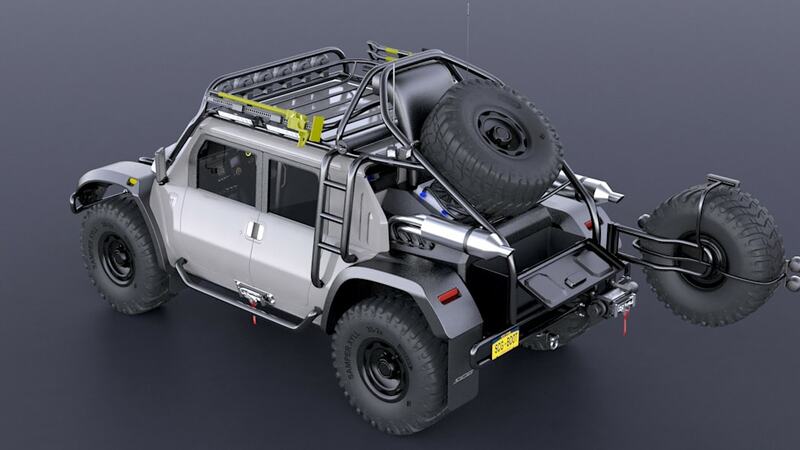 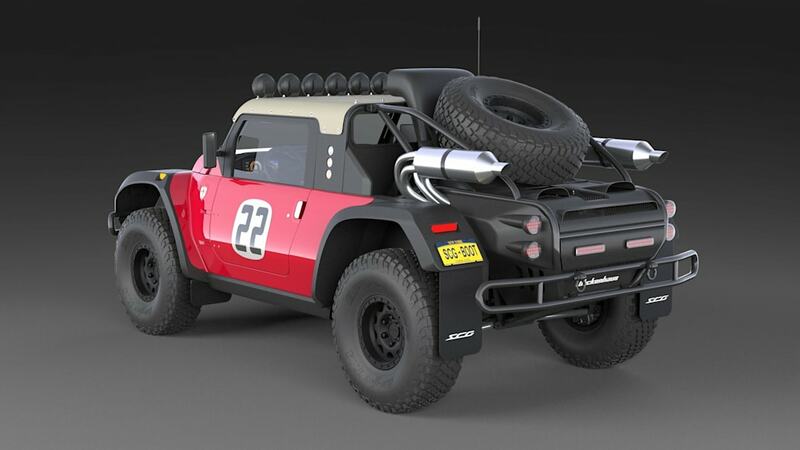 The road-legal Boot is going racing at the Baja 1000 desert race in 2019, and plans include setting a world altitude record with an expedition version of the do-it-all vehicle, by climbing up a nearly 7-kilometer-tall volcano in the Andes. 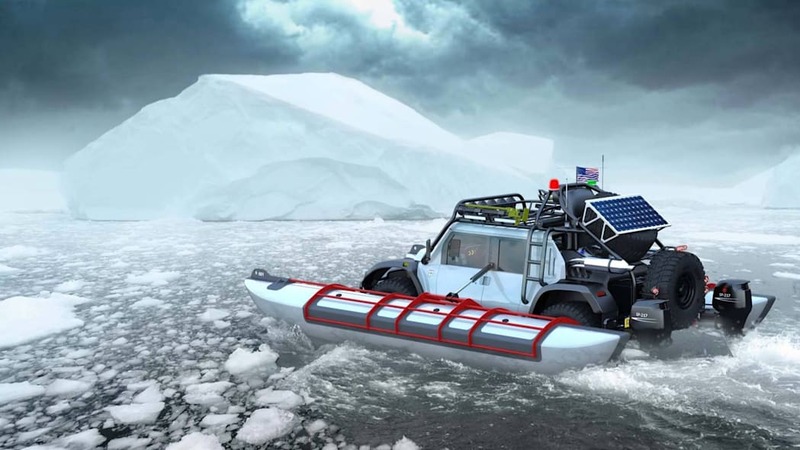 The fantastic thing is that it would be also driven from New York to Paris, the long way around in 2020. 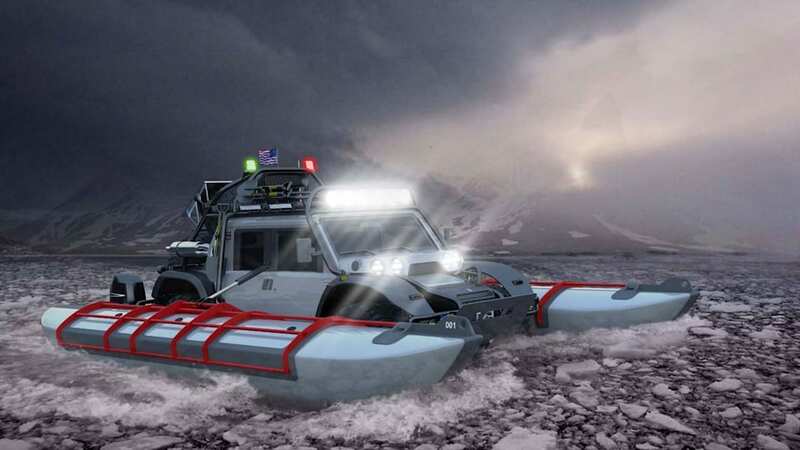 To negotiate the Bering Strait, the Boot would be loaded on a bespoke, upscaled rubber dinghy with outboard motors: The entire thing looks like something from the "Fast and Furious" movie universe. 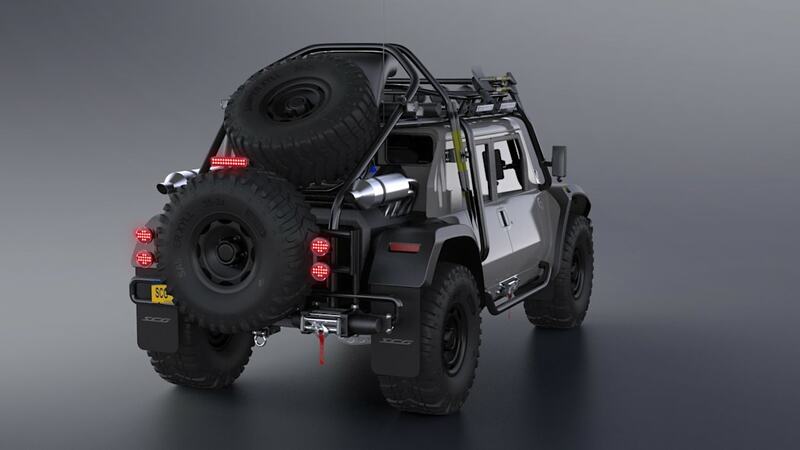 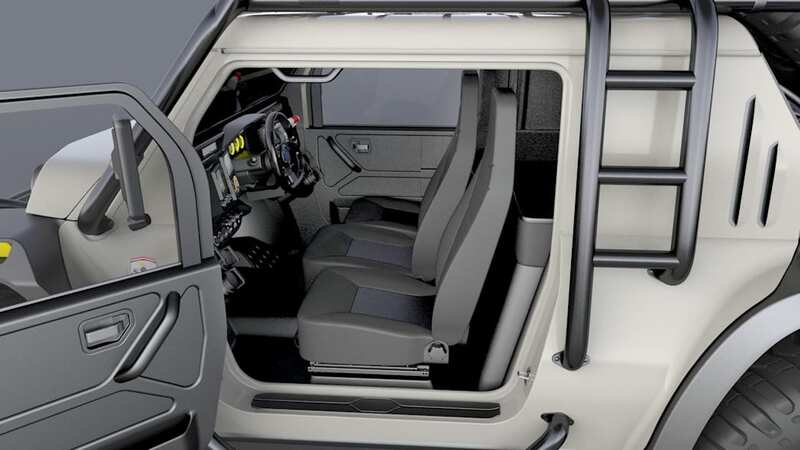 The machine itself would be powered by a 5-liter V8 with selectable four-wheel drive, offering 20 inches of suspension travel. 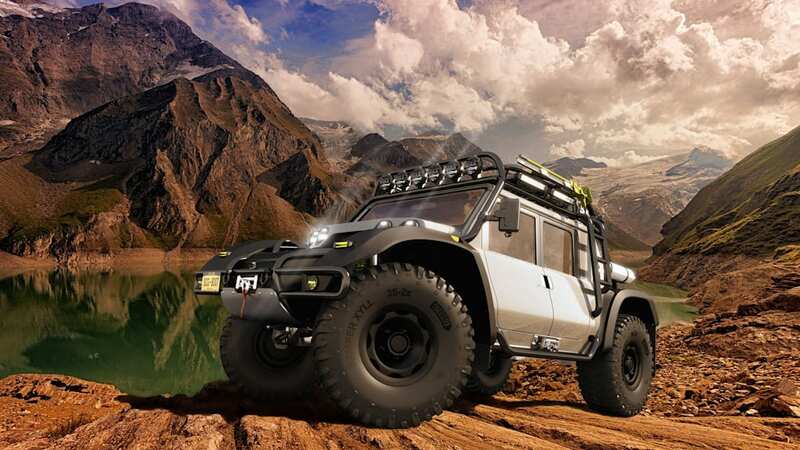 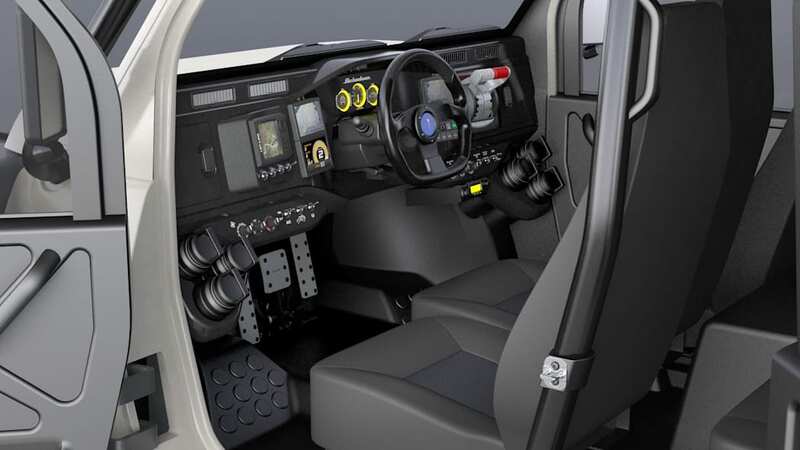 The mega gallery above has more pics of the vehicle in different guises. 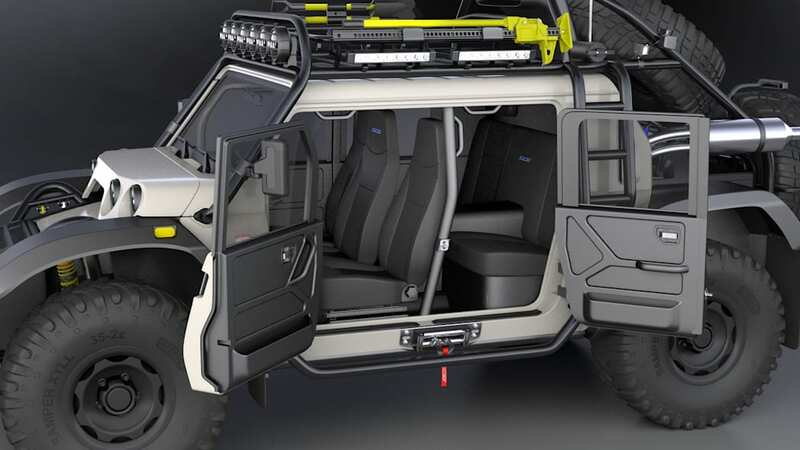 2019 model Boots are also available to be ordered now, at $250,000 for the two-door version and $275,000 for the four-door. 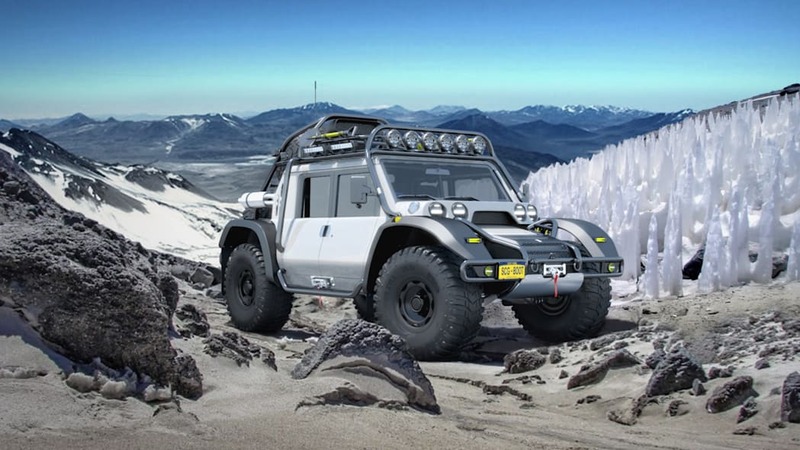 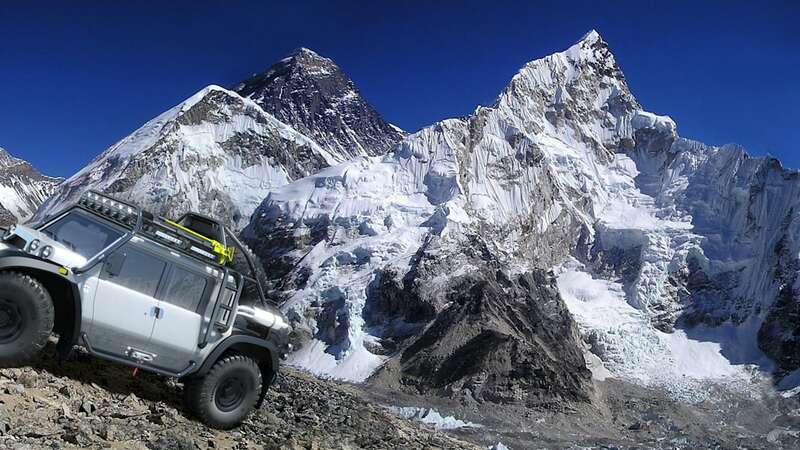 That's quite a bit up from the $100k price we mentioned the last time around, but how many road-legal, air-conditioned vehicles are designed to go up a 22,000 feet volcano?